Our employees are home/office presentable and courteous. We started our business as a husband and wife team, working out of our home. We purchased our first delivery truck, (a big old green F550 truck,) that we named "The Terradactyl". That old truck helped us out on many, many deliveries, until we could finally purchase a new modern truck and hire some employees and lease a warehouse. We started out mainly catering to Interior Designers, both local and out of state, for their delivery, shipping, receiving, and installation needs. As our Business grew, we were able to expand our services. In 1997 we purchased property and built our warehouse and office. 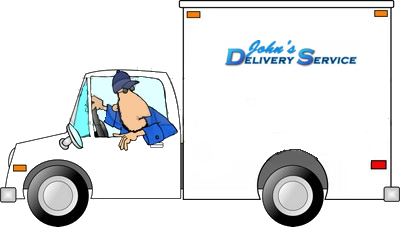 We are still here ready to help you with all your Delivery needs.